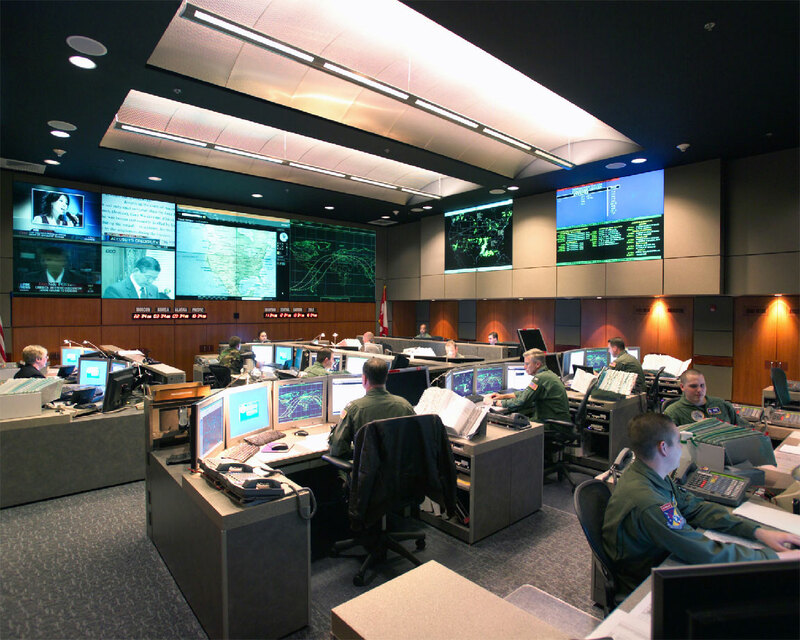 The CMD Command Center (CCC) inside Cheyenne Mountain, one of the center that provides data to U.S. STRATCOM (Source: Norad.mil). U.S. Strategic Command (STRATCOM) is reportedly entering into a discovery period whereby it will be speaking with allies about bringing together their combined space situational assets (SSA) to create a unified command. The proposed unified command would combine the capabilities of the allies involved to perform SSA activities, including launch support, maneuver planning, on-orbit anomaly resolution, electromagnetic interference reporting and on-orbit conjunction assessments. U.S. Air Force General Robert Kehler notes that while U.S. STRATCOM has been given the authority by the Secretary of Defense to approach allied nations about entering an agreement, final authority to conclude the agreement would first have to be obtained by the U.S. State Department. No agreements have been entered into. The creation of a unified command would bolster SSA capabilities; however, US STRATCOM’s current role in SSA is not trivial nor is its mission of providing SSA information to governmental and commercial space operators. Since January 4, 2010, U.S. STRATCOM has been providing SSA information and analysis to government and commercial space operators in the U.S. and around the world. This mission started as the pilot Commercial and Foreign Entities (CFE) program in 2004 under U.S. Space Command to ascertain the viability and appeal of sharing SSA products and services with both foreign and domestic satellite owners and operators. The CFE pilot program transitioned to the Space Situational Awareness (SSA) Sharing Program in 2009 shortly after the February 2009 collision of Iridium 33 and Cosmos 2251 over Siberia. Since its formal inception, the SSA Sharing Program has provided orbital data and notices to several foreign and domestic customers. This information has led to numerous maneuvers to avoid space debris, including several potential conjunctions of orbital space debris with the International Space Station. The SSA Sharing Program also provided orbital tracking data and reentry predictions for high-profile orbital space debris reentries in 2011, including the Upper Atmospheric Research Satellite (UARS) and ROSAT as well as orbital element data and reentry analysis for Phobos-Grunt. However, U.S. STRATCOM’s provision of this data has raised concerns. Some in the U.S. have stated their reservations about providing this data, as it might reveal otherwise classified SSA and tracking capabilities. Further discord might erupt since the capabilities of potential partners will likely differ greatly in magnitude to the assets and capabilities provided by the U.S. thereby giving the impression that the U.S. is shouldering the bulk of capabilities and expense of a unified command with its partners reaping the benefits. General Kehler noted the magnitude of the discrepancy in capabilities between the U.S. and potential partners, but noted that while the difference may be great, each of the potential partners does possess some amount of capability. Aside from the potential SSA benefit that a unified command could provide, such a partnership would be consistent with the U.S. National Space Security Strategy, which was released in January 2011. The National Space Security Space Strategy complements the U.S. National Space Policy released in June 2010 which, and among other, calls for greater cooperation with other nations. No official announcement has been made as to which countries will be approached for the unified command; however, it is certain that countries entering into the partnership with the U.S. would have significant access to sensitive technical and operational information. Likewise, those countries would likely be required to disclose sensitive information concerning their technical and operational capabilities in order to integrate their resources into the new command. It is this degree of transparency that will likely exclude countries that may be unwilling to make those disclosures for national security reasons.